We’re all looking forward to getting our routine back. A new high school is looming for Scarlett and Violet is excited about starting year 3. Our summer has been filled with holidays, lazy days, rainy days, hot days and days when I wish they were back at school, I’m sure all the working parents out there are familiar with the precision organising of childcare and what a headache it can be. 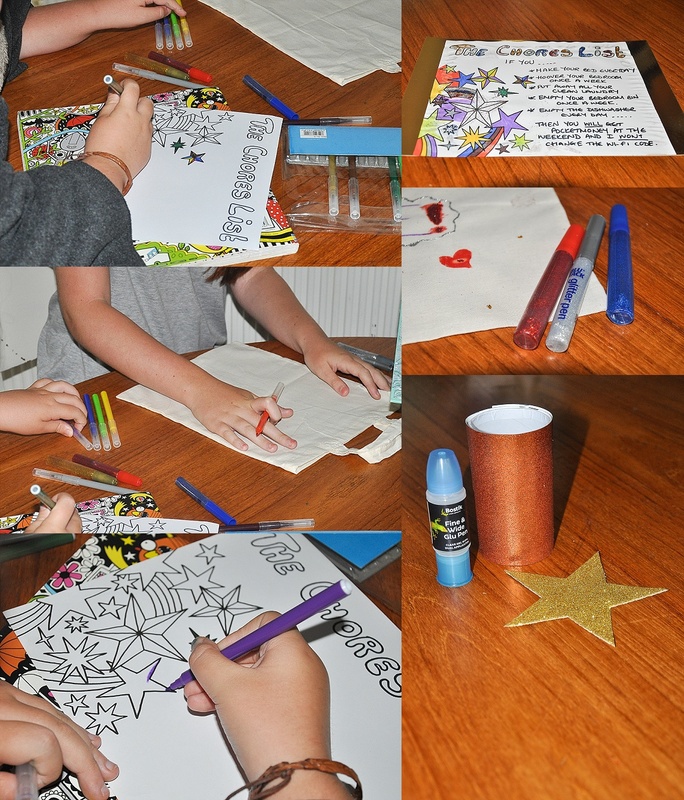 Our monthly craft challenge is based on going back to school so imagine my surprise when the kids actually said they wanted a chores list and somewhere to study! Operation back to school with Glitter and Glue commenced with the hoover on standby. 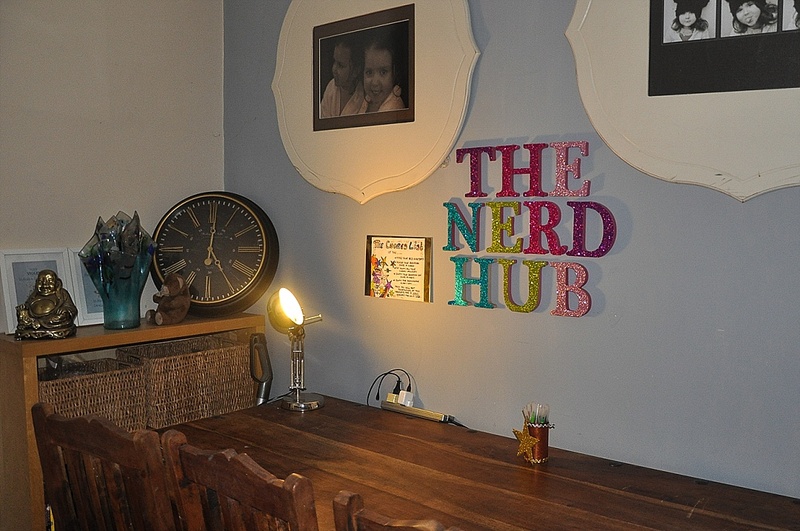 Firstly, I realised that they didn’t have a desk, the dining table acted as multi-functional office and eating area for all of us so after a bit of re-arranging the redundant space in the hall is now quite a useful office now, affectionately, renamed THE NERD HUB. 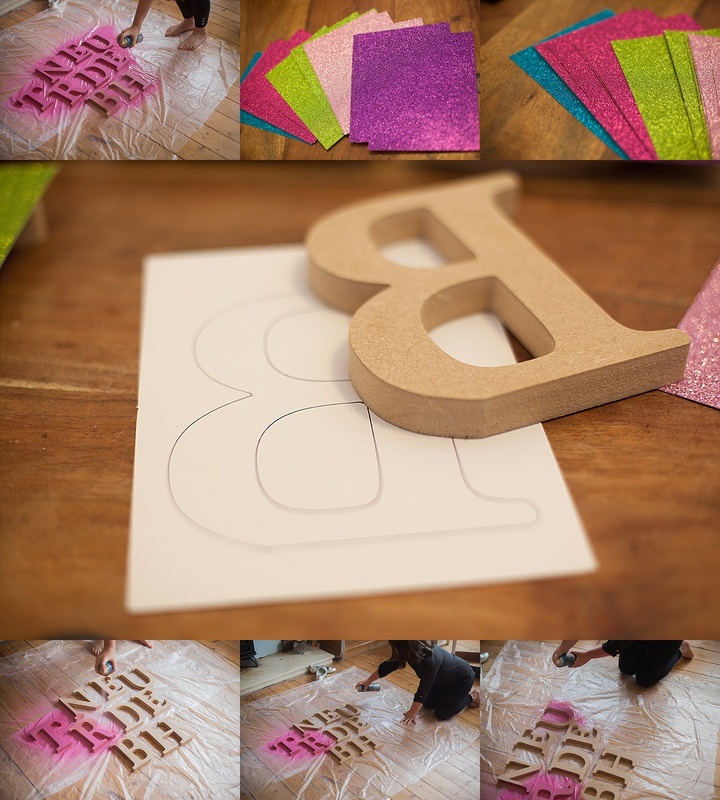 The hardest part, and not without arguments, was picking which glitter colour would go on each letter! On the reverse of each glitter card put the letter on back to front and draw around it then cut it out. Put to the side to use later. 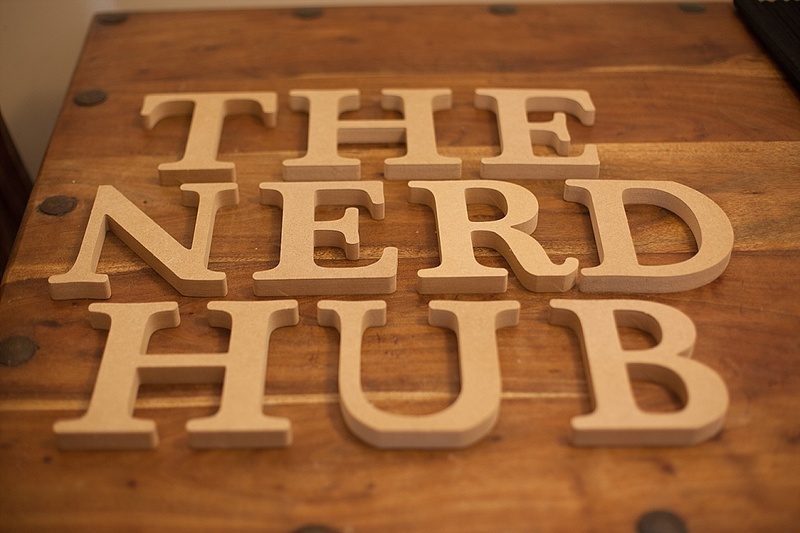 As you can see from the images we put a big plastic sheet down on the floor so that we could spray paint the wooden letters. Ideally this should have been done outside but, guess what, it was raining, AGAIN! 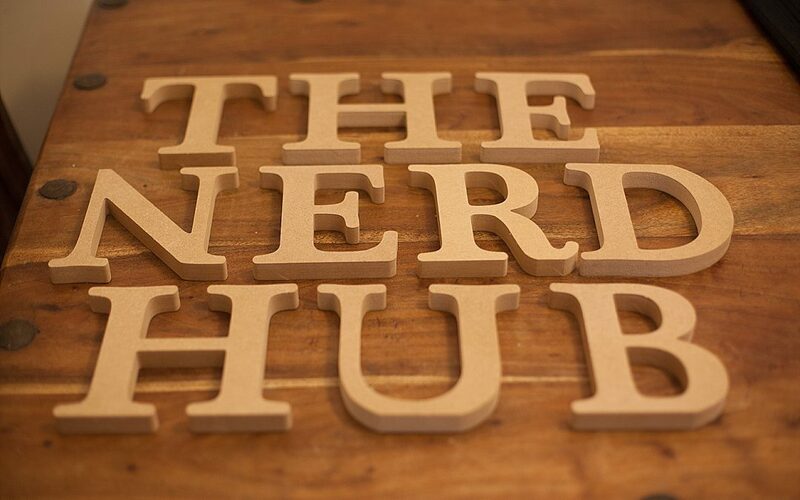 The letters were dry within a couple of hours and we soon got to work with our Bostik Glu Pen and the letters and glued them in place. We left them to dry overnight and stuck them to the wall with Blu Tack the following day. The kids were thrilled with it and I think it’s pretty cool too. 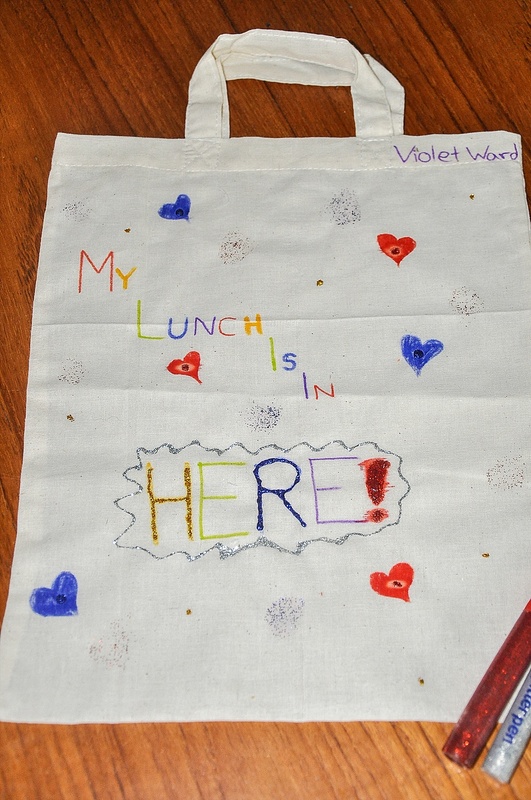 Next on the list was a lunch bag and requested by Violet. This was so easy to make but the look of concentration on her face while she was doing it proved to me that she was very serious about this project. She used Sharpies to write the words and then filled in the rest with Bostik Glitter Pens. The chores list came next. 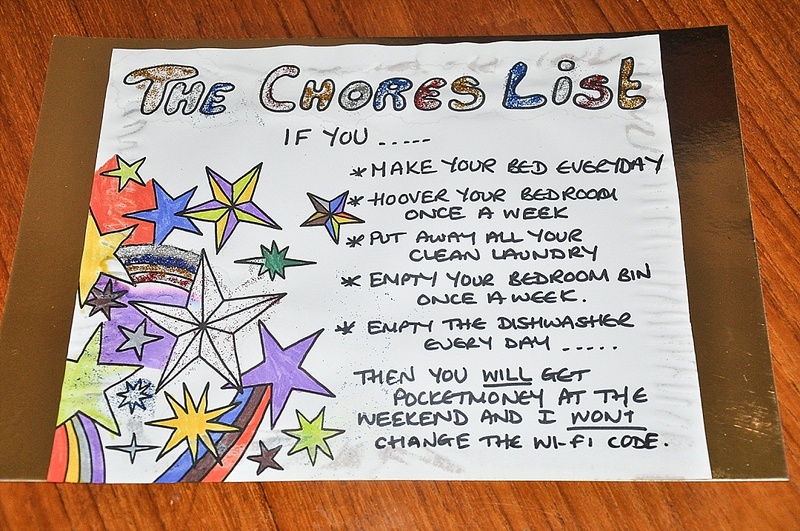 You could have knocked me down with a feather when they asked for one but I guess by the ages of 7 and 11 they SHOULD be contributing to keeping the house a tidy and nice environment to live in. Once again, they designed and decorated and I added the actual chores AND they seem quite happy about it. Win Win situation. Finally, somewhere to keep the pens. 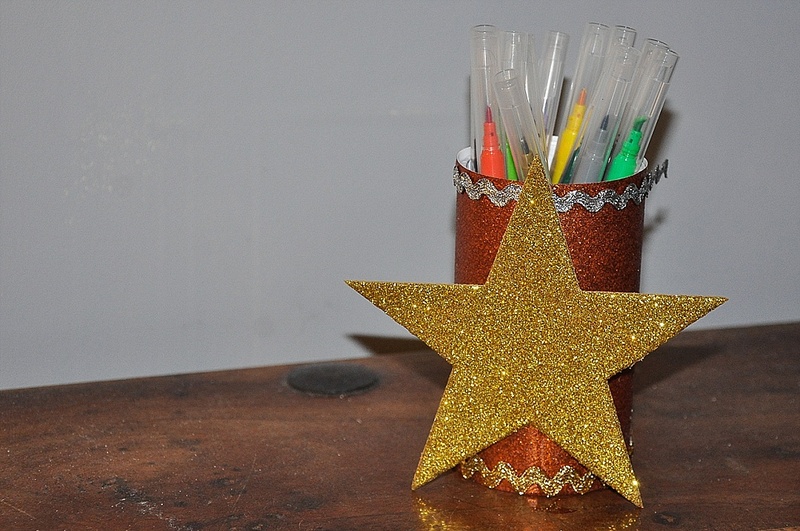 You can use a cardboard tube as long as you tape or glue cardboard over one end (so the pens don’t fall out obvs) then glue another glitter card around the outside and decorate as you see fit. 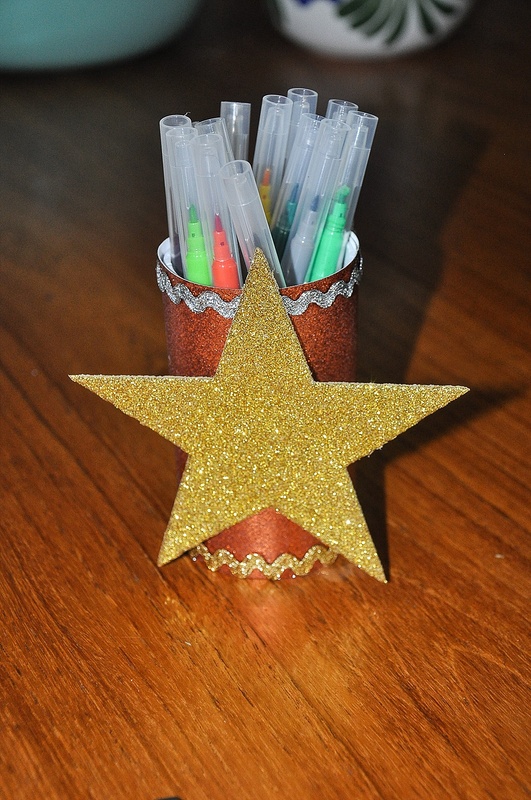 I encourage you all to let the kids loose with the craft box. They love creating and, of course, making a mess. We’ll be finding glitter flakes forever!